We have a laptop bag from a new company met at CES last month, STM Bags has provided me with the new Velo 2 medium laptop shoulder bag. Lapptop bags have become increasingly popular to transport the incredible shrinking gadgets we have to tote for work and school and each bag brings their own unique designs and features. 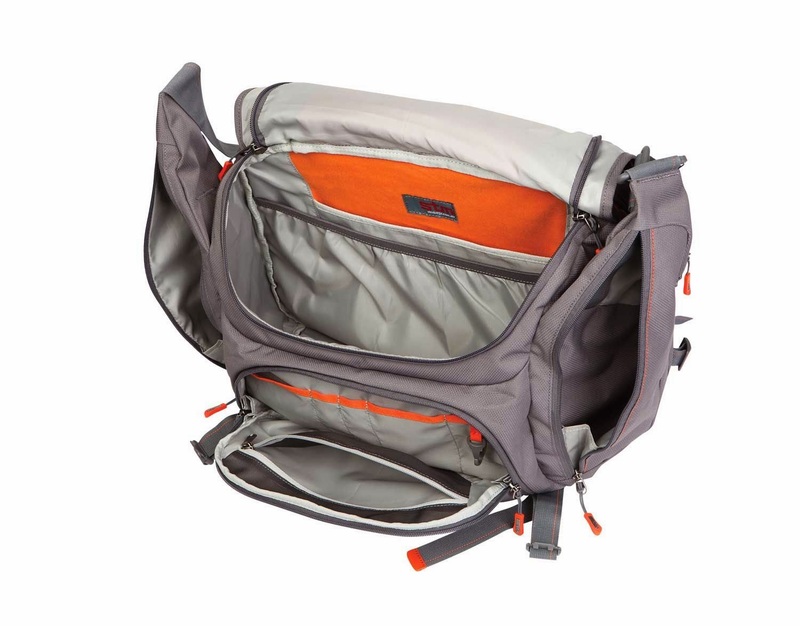 The Velo 2 brings to the table a variety of colors, side entry laptop compartment, and a waist strap to stabilize your load in transport. The medium sized bag is built to hold most 15" laptops, two pockets for water bottles and/or an umbrellas, a large compartment for text books, camera equipment, or notebooks so let's see how the Velo 2 is on the daily commute. 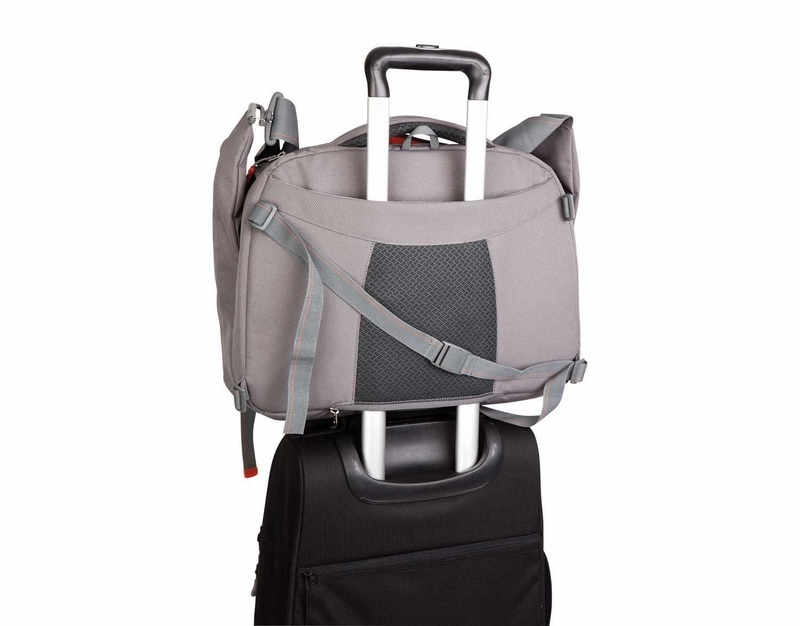 This laptop has more space than I was expecting and had no shortage of storage, but I was particularly a fan of the side access pocket for my laptop and the waist strap to hold your cargo against you while on the go. With the big amount of space, it does increase the size of the bag making it a bit bulkier than that of other bags reviewed. The best part of having such a large main compartment is the ability to carry more than the bare necessities, in my situation I used it to pack clothes for overnight traveling or my DSLR and lenses for photo shoots. In terms of comfort, the Velo 2 has both a padded shoulder strap and a padded back for comfort during extended wear. 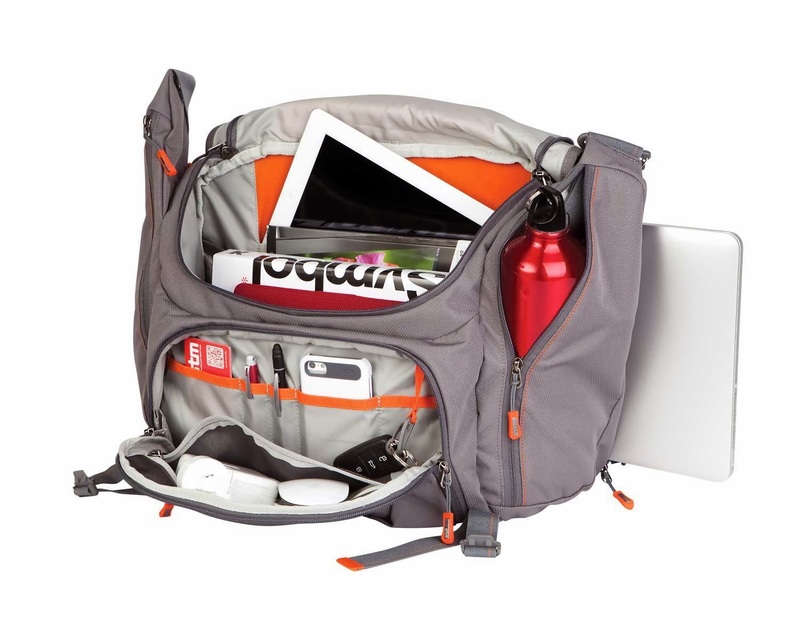 STM Bags has produced a solid bag for those trying to carry more than just their laptop, tablet, accessories, and cables. Granted it is a larger bag, so if you are not looking for the added bulk, their other product offerings may be a better fit. 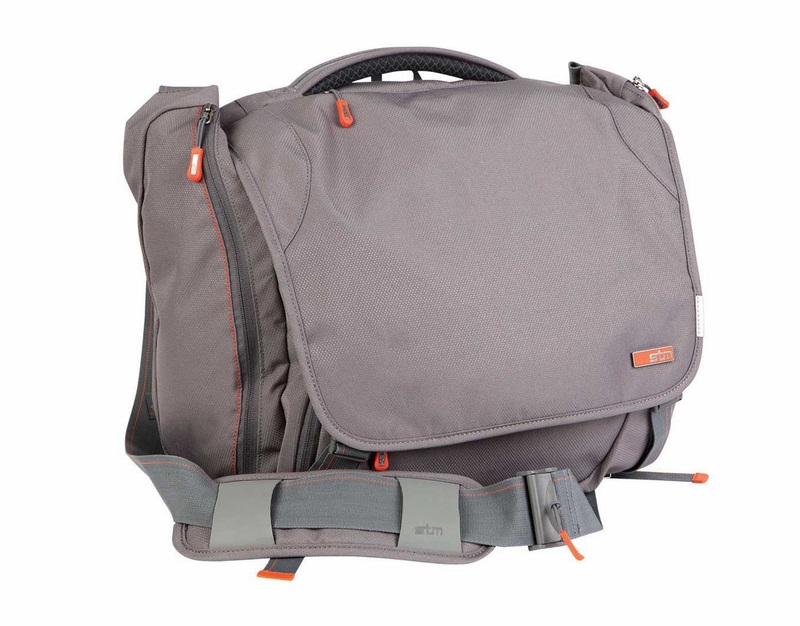 I had received my Velo 2 in grey and in the medium size which holds most laptops up to 15 inches, but the bag is available also available in a small size that holds up to 13 inch laptops, and is also available in black or blue colors. What was great were the side pockets for water bottles and/or an umbrella, when most of the laptop shoulder bags do not include space for hydration. The Velo 2 medium is available now from a handful of online retailers for $100.00.